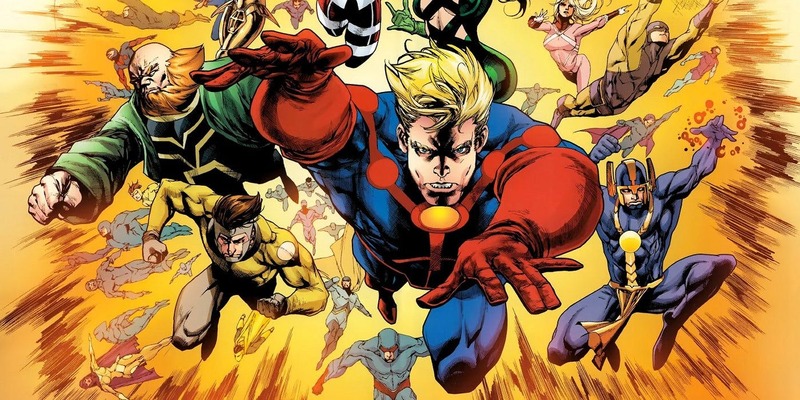 Marvel has shown over and over that it can dig deep into its canon and make a hit film, and with Avengers: Infinity War turning out to be a Thanos movie, it's the perfect time for them to dive into the Eternals. Thanos is an Eternal, you see. It's definitely one of the deeper dives for Marvel, but one that could pay off in expanding the universe so they've brought in Matthew and Ryan Firpo to pen a screenplay. The duo has one of the hottest screenplays on the Black List at the moment, Ruin, but not much else to their name. They'll have to do quite an interesting number to pull of an Eternals movie. The characters weren't really meant to play around too much with the rest of the Marvel universe, though one has been an Avenger. They were created by ancient beings known as the Celestials and tasked with basically eternally battling the Deviants in a millennium long war. It will be very interesting to see how this film fits into the overall Marvel structure. They could easily pull off a movie that's almost entirely unconnected to the rest of the MCU given the fact that the Eternals have been around for a long, long time. There's also whiffs of the Inhumans in this for me. A secret civilization of super powered people given powers by an powerful alien race? Obviously the two are different, but is this Feige's second attempt at actually pulling off this story line?